I missed posting my favourite kind of outfits - all black everything. I feel like it was time to post something of that kind again. In this outfit I'm wearing a dress, not a skirt, a dress used as a skirt for this opportunity, from Steal Her Look. The black turtleneck looks great with it. I love these shoes from Choies that look like Givenchy boots. They are really comfy. 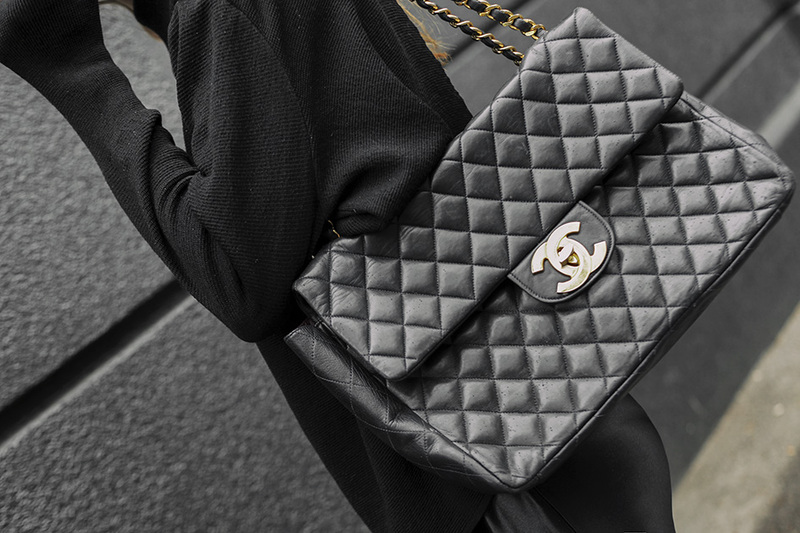 The bag is my favourite vintage Chanel. Check out more photos because Senja Vild really did some amazing shots! Your style is always perfection! I LOVE the sunglasses.